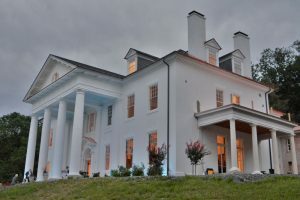 Inova Loudoun Hospital unveiled its “Loudoun Rising: Taking Health to New Heights” campaign Wednesday with a celebration at the historic Selma Mansion—and a head-start, thanks in part to Selma’s owners. The $20 million fundraising campaign will go toward the hospital’s $300 million master plan of expansions for 2020. It starts with $12 million already in the bag, thanks in part to a $2 million donation from Selma’s owners, Sharon Virts and Scott Miller, and a $5 million donation from Bobbi, Karen and Fred Schaufeld. One of the plans for that campaign: The Inova Virts Miller Family Emergency and Trauma Center. Sharon Virts’ connection to Loudoun hospitals goes back to being born in one. 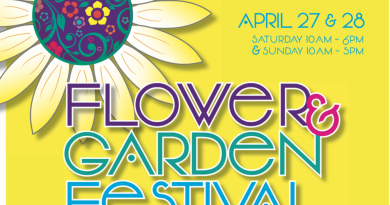 But more recently, she recounted, her younger brother Kevin suffered a massive aneurysm while working in his garden. He was taken to the Inova Loudoun Cornwall Campus in Leesburg until he was stable, and then sent to Fairfax. At the time, doctors gave him slim odds of surviving, and if he did, slimmer odds of regaining full function. Today, Kevin Virts has completely recovered, which Sharon Virts attributes in large part to the attending physician at the Cornwall campus at the time, Dr. Ed Puccio. Virts said she wants to bring the kind of emergency room capabilities the Inova Health System has in Fairfax to Loudoun. 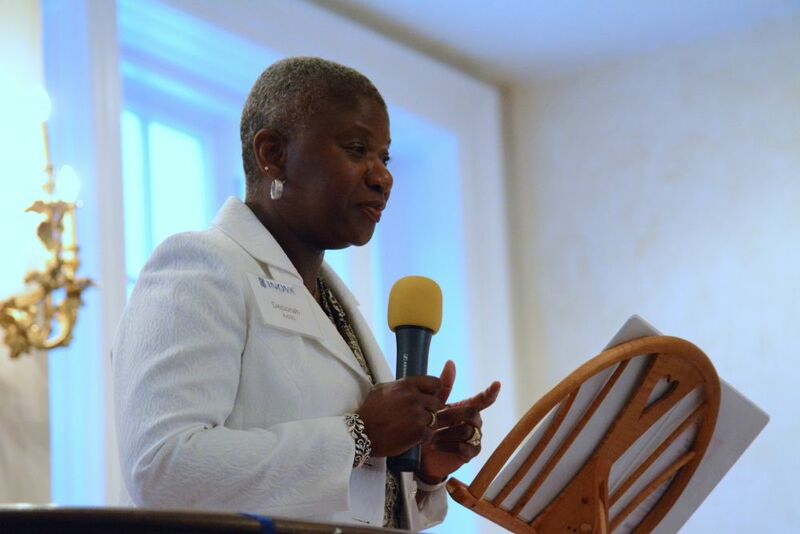 “Every time we send a patient to Fairfax, we give away the confidence of our residents in our system here in Loudoun,” she said. “Eighty percent of the people who get admitted to the hospital come through the ER, so it’s important we get it right,” Dr. Puccio said. 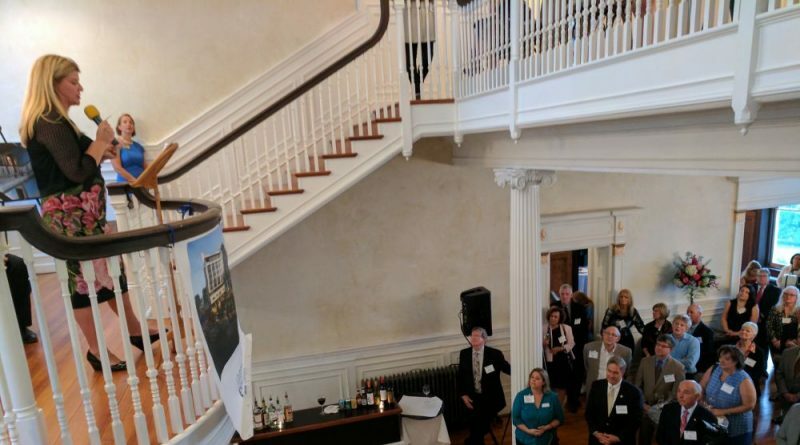 “We want to ensure that what we have here in Loudoun not only replicates, but also is equal to or better—I’m plugging now—what we do any place else in the system,” Addo said. Inova Loudoun’s overall plans include not only the new emergency center, but a seven-story patient tower with all private rooms, expanding the Inova Heart and Vascular Institute Schaufeld Family Heart Center, expanding the Intermediate Care Unit and Intensive Care Unit, and a new obstetrics unit and expanded neonatal intensive care unit. Other contributors to the campaign as of its launch include Mark and Wendy Stavish, Commonwealth Emergency Physicians, The Kellar Family Foundation, The Peterson Family Foundation, Teresa and Michael Wheeler, David and Amy Bosserman, The Ladies Board of Inova Loudoun Hospital, Nicklaus Children’s Health Care Foundation, Cindy and Rick Chambers, Fairfax Neonatal Associates, The Frederickson Family, Maggie Bryant, The McMunn Family, recenty-retired Inova Loudoun CEO H. Patrick Walters, James and Rebecca McDermott, Inova Health System Government and Community Relations Liaison Stacey Miller, and John and Patti Sinnen. This was only the second event at Selma since Virts and Miller began its restoration in early 2016. 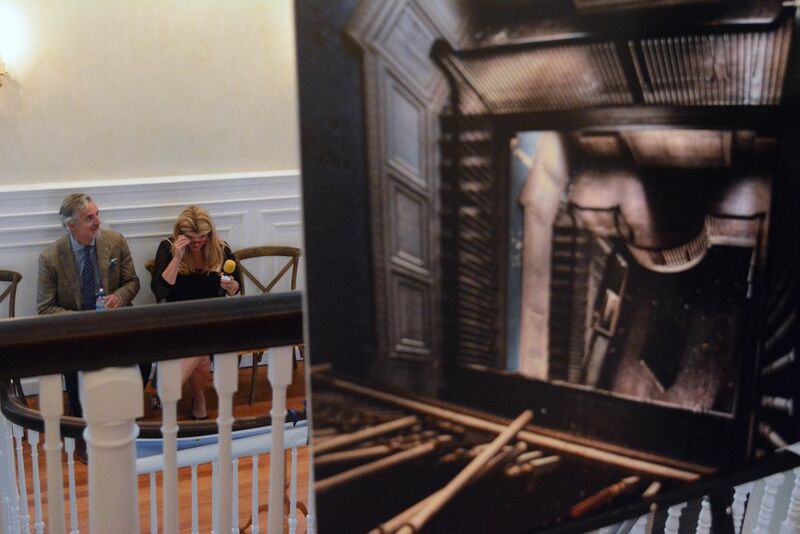 Visitors toured the mansion, which is still being restored, with photos on display to compare its former dilapidated state to its current progress. Virts and Miller plan to wrap up renovations in late summer or early fall.